Immerse yourself in the diverse cultural flavor of the Commonwealth at World Music Café on Sunday, April 8. 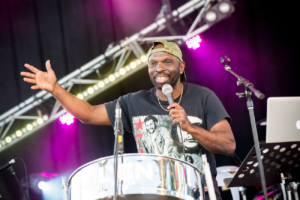 Featuring Neiko Dance Production, Alvin and d’Band Jahbutu and Dance Masala, this special World Music Café forms part of Festival 2018, the multi-arts festival complementing the Gold Coast 2018 Commonwealth Games’ (GC2018) sports program. Taking place at the Cultural Forecourt in South Bank from 10am to 12pm, the World Music Café is free and open to the public. Come and enjoy world-class entertainment from some of Queensland’s most exceptional artists, whose roots are in culturally diverse countries of the Commonwealth.